Thanks to your feedback, Swimia has develop into in just several months one the most significant web-sites of swimming pools. Here you've got all the info we know about Castlemilk Pool, in Glasgow. Don't neglect you can also promote this pool so Castlemilk Pool will appear the first of Glasgow, or perhaps the very first of your country, contact us to know a lot more. Swimmers like you reported 25 meters, Indoors. Unfortunately we do not have the email address of this Swimming Pool, but we can give you the phone number. If you believe that any on the information and facts is incorrect, please contact us. Support us be better day-by-day. 34 Gairbraid Avenue , Glasgow , Scotland , UNITED KINGDOM (Postal Code: G20 8YE). Swimmers like you reported 25 meters, 6 lanes, Indoors. Unfortunately we do not have the email address of this Swimming Pool, but we can provide you with the phone number. 12 Cranworth Street , Hillhead , Glasgow , Scotland , UNITED KINGDOM (Postal Code: G12 8BZ). Among all the activities supplied by the centre, for anybody who is interested in swimming you are going to get pleasure from 30 yards x 9 meters, 0.9 meters - 2 meters depth, 0.9 meters - 2 meters depth, Indoors. If you need to contact this Pool, e-mail address and phone number are both number. 61 Arlington Street , Glasgow , Scotland , UNITED KINGDOM (Postal Code: G 3 6DT). This sports centre delivers 21 meters, 6 feet 2in maximum depth, Indoors. 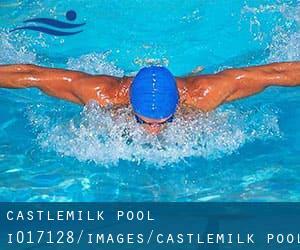 Contact data for this Swimming Pool for instance phone number and e-mail address are number. 141 Finnieston Street , Glasgow , Scotland , UNITED KINGDOM (Postal Code: G 3 8HB). Swimmers like you reported 25 meters x 8.5 meters, 2 lap lanes, Indoors. Phone number and e-mail address are number for this Pool. Summit Centre , 11 Minerva Way , Finnieston , Glasgow , Scotland , UNITED KINGDOM (Postal Code: G 3 8AU). Among all of the activities supplied by the centre, in case you are interested in swimming you will take pleasure in 20 meters x 11 meters, Indoors. Just in case you wish to contact this Swimming Pool before dropping by, we only know the phone number. Updated on 2019 Tollcross Park , Wellshot Road , Glasgow , Scotland , UNITED KINGDOM (Postal Code: G32 7QR). Few days ago a typical user of this centre told us they offer Olympic size, 10 lanes, Indoors. Furthermore, they keep in good conditions Olympic size, Indoors. For this Swimming Pool, only phone number is number here. 10 Braid Square , St. George´s Cross , Glasgow , Scotland , UNITED KINGDOM (Postal Code: G 4 9YB). Among all the activities offered by the centre, should you be thinking about swimming you might enjoy 25 yards, Indoors. Just in case you want to contact this Swimming Pool before dropping by, we only know the phone number. Kay Street , Springburn , Glasgow , Scotland , UNITED KINGDOM (Postal Code: G21 1JY). Swimmers like you reported 25 meters, Indoors. Unfortunately we do not have the email address of this Swimming Pool, but we can give you the phone number. Glasgow Fort Shopping Park , Block 2 Unit 8 , 170 Provan Walk , Junction 10 M8 , Glasgow , Scotland , UNITED KINGDOM (Postal Code: G34 9NL). Swimmers like you reported 20 meters x 9 meters, Indoors. Unfortunately we do not have the e-mail address of this Pool, but we can give you the phone number. 27 Washington Street , Glasgow , Scotland , UNITED KINGDOM (Postal Code: G 3 8AZ). Among all the activities provided by the centre, for anyone who is enthusiastic about swimming you'll delight in 50 feet x 7.5 meters, Indoors. If you should make contact with this Swimming Pool, email address and phone number are both number. Danes Drive , Scotstoun , Glasgow , Scotland , UNITED KINGDOM (Postal Code: G14 9HD). Among all the activities offered by the centre, if you are keen on swimming you will enjoy 25 meters, 10 lanes, Indoors. Just in case you wish to contact this Pool before dropping by, we only know the phone number. Braidholm Road , Giffnock , Glasgow , Scotland , UNITED KINGDOM (Postal Code: G46 6EB). This sports centre offers 25 meters, Indoors. Contact details for this Swimming Pool which include phone number and e-mail address are number. Bellahouston Drive , Glasgow , Scotland , UNITED KINGDOM (Postal Code: G52 1HH). This sports centre offers 25 meters, Indoors. For this Pool, only phone number is number here. Bogbain Road , Glasgow , Scotland , UNITED KINGDOM (Postal Code: G34 9LW). Swimmers like you reported 20 meters x 12.8 meters, Indoors. Unfortunately we do not have the email address of this Swimming Pool, but we can give you the phone number. 240 Onslow Drive , Denniston , Glasgow , Scotland , UNITED KINGDOM (Postal Code: G31 2QF). Among all the activities offered by the centre, for anyone who is considering swimming you are going to enjoy 25 meters, Indoors. Just in case you desire to contact this Pool before dropping by, we only know the phone number. Are you a member of employees or know well this location? Please, contact us to validate this information and facts.